Upon his death, fellow musicians and artists paid tribute. Russell Simmons of Def Jam Records said that Yauch "was incredibly sweet and the most sensitive artist, who I loved dearly". Paul Meany of Mutemath created and mixed a combination of "Sabotage", "Root Down", and "Sure Shot" as a studio solo and as a tribute and posted it to Facebook, Twitter, and Instagram on May 5, 2018. Ben Stiller tweeted that Yauch "stood for integrity as an artist". 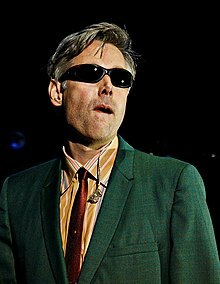 Jeff Ament of Pearl Jam said that Yauch was "a crazy talent whose contributions with his band were inspirational and consistently ground breaking". Radiohead frontman Thom Yorke wrote, "We looked up to the Beastie Boys a lot when we were starting out and how they maintained artistic control making wicked records but still were on a major label, and the Tibetan Freedom Concerts they organized had a very big influence on me personally and the way Adam conducted himself and dealt with it all impressed me a lot. He was a mellow and [very] smart guy. May he rest in peace." Eminem said in an interview, "Adam Yauch brought a lot of positivity into the world and I think it's obvious to anyone how big of an influence the Beastie Boys were on me and so many others." Phish dedicated their cover of "Sabotage" to Yauch during a concert at the Saratoga Performing Arts Center on July 7, 2012. Beastie Boys rapper Adam "Ad-Rock" Horovitz posted a note on the Beastie Boys' Tumblr page about the death of Yauch, acknowledging the pain of losing Yauch as well as the admiration for Yauch.